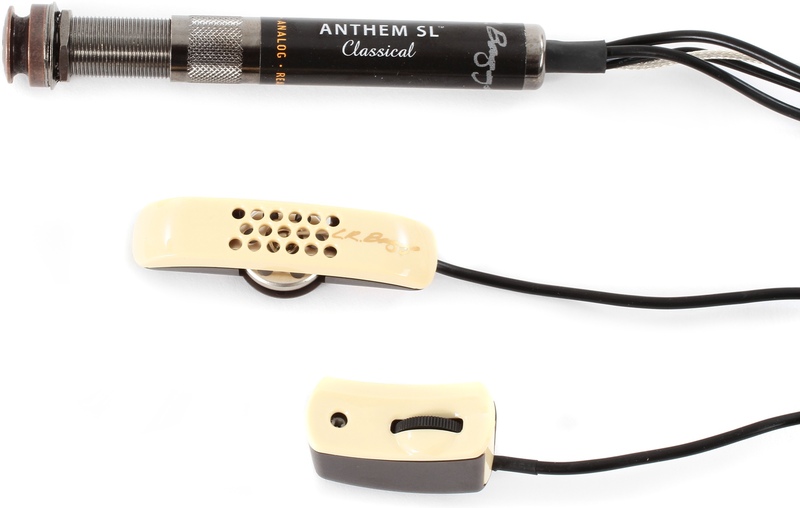 For those of you who prefer a minimalist approach to controls, the Anthem SL delivers the same groundbreaking studio micd fidelity as the Anthem in a streamlined format with a single volume control. The endpin preamp has all-discrete circuitry for the purest signal and the TRU-MIC is premixed with the Element for optimum performance. At the heart of the Anthem is a revolutionary microphone engineered to capture a dynamic studio-micd sound for any live performance. 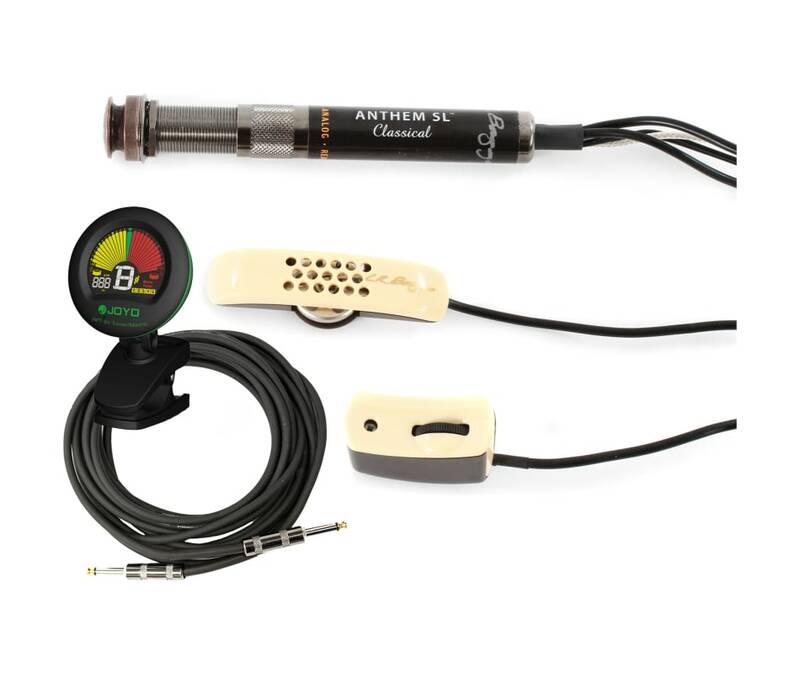 The TRUMIC mounts to the underside of the bridge plate and hovers just 3 mm above its surface to take advantage of the PZM or 'boundary' effect.&nbsp;This proprietary mounting system, combined with noise cancellation, frees the mic to perform as if it were outside of the guitar in a studio and maintain remarkable feedback suppression for the stage. 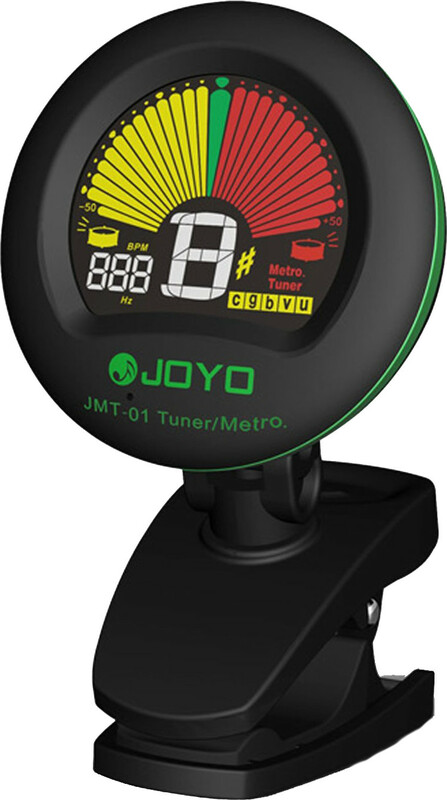 The result is a balanced frequency response with excellent clarity for the purest sound you have ever heard amplified. 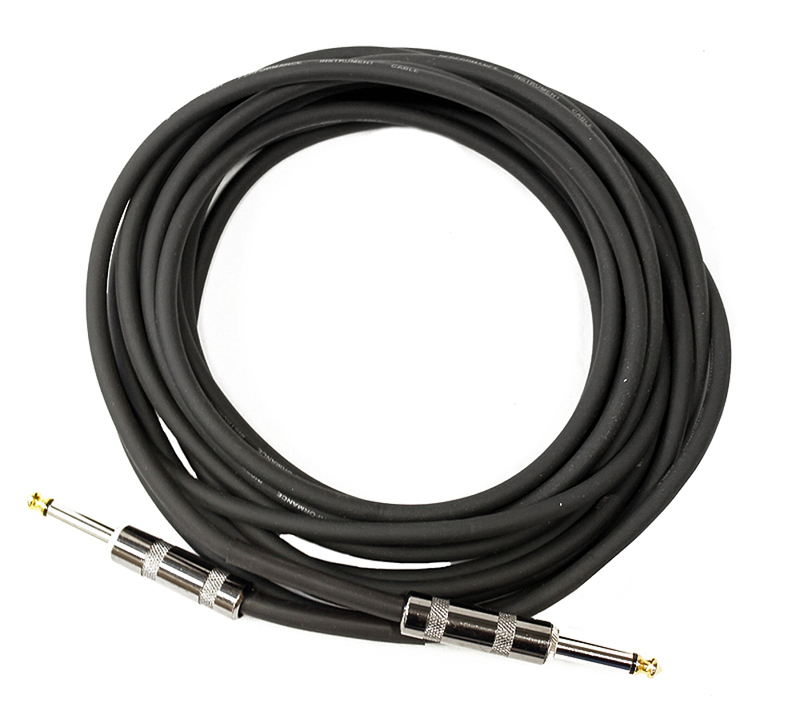 We have paired the Element pickup with the TRU-MIC to provide solidity and punch for low frequencies.